It's been a busy couple of months what with the day job and mothering. Nonetheless, I have been on a mission to finish two projects that have been languishing at the bottom of a basket. It is a very fine and visually striking basket. Well, it would have to be as it's become such a significant yet unintentional design feature in the chaos of the living room. 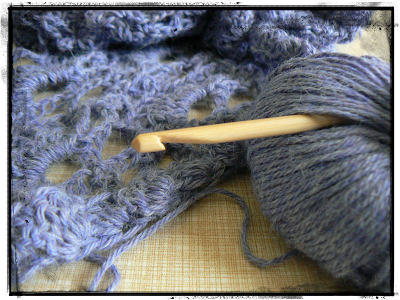 Various knitting needles and crochet hooks poke forth from the basket. Squishy balls of yarn have acquired colourful, knotty tentacles that look as if they were trying to escape. This miniature, wool-based interpretation of John Wyndham's The Kraken Wakes arguably detracted somewhat from the loveliness of the basket. That and the layer of dust. Something had to be done. 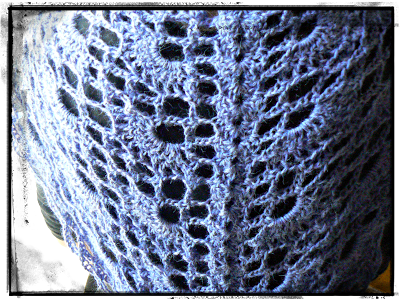 I tentatively reached into the bowels of the basket, swearing upon all that is good and cake-based to finish the associated projects of whatever yarns came to hand as long as I actually got that hand back. Luckily for me, the hand emerged in one piece and clutching 3 balls of Artesano 100% Alpaca DK in Cornflower blue and a largish ball of an unknown chunky yarn in a sort of burgundy hue. And Lady Luck was smiling down on me as both projects demanded crocheting. If I was truly honest when I swore that oath to all things good and cake-based, I couldn't quite face a knitting project. Free time at the moment comes in bite-sized chunks and tends to cease with no warning at all. Not ideal mid row of some complicated cabling. And it's such a pain to unravel a gazillion rows for one slipped stitch born of a distracted moment. And here are the results. 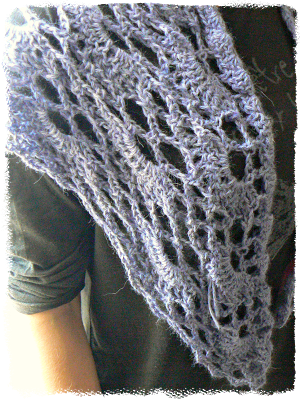 The first is a relatively intricate shawl with the alpaca DK and is the first woolly thing I've completed for myself in an age and a day. 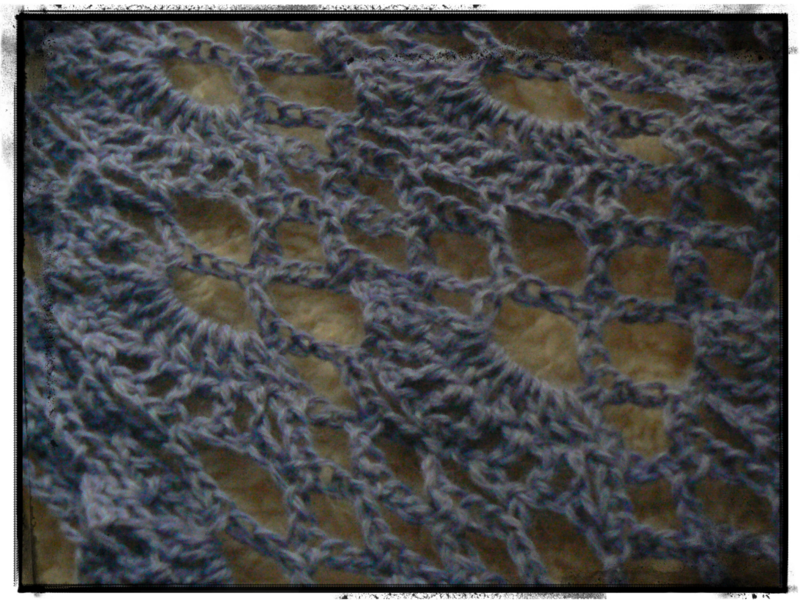 Another bonus with alpaca is that those afflicted with a wool or lanolin allergy can wear this yarn. No longer will they suffer like Griffolino and Capocchio in Dante's Inferno (Canto XXIX; 73-99 in case you're wondering). Which can only be a good thing. FYI Cheri McEwan's Fantasm pattern is a freebie on Ravelry. 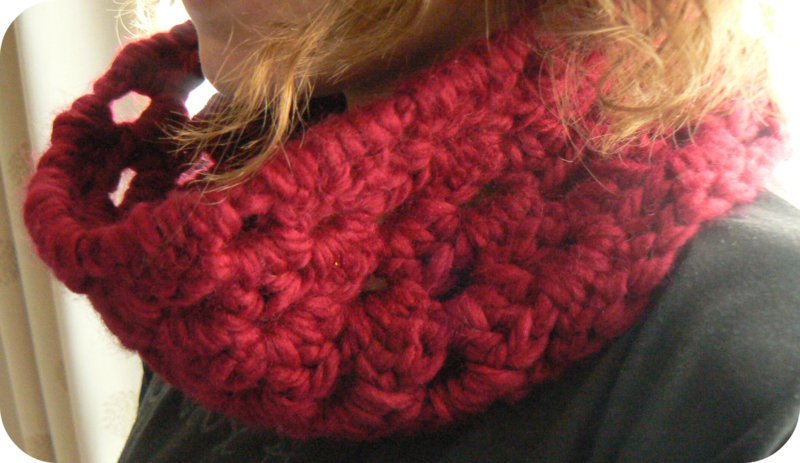 And the second is a whizzy, easy and satisfying snood. 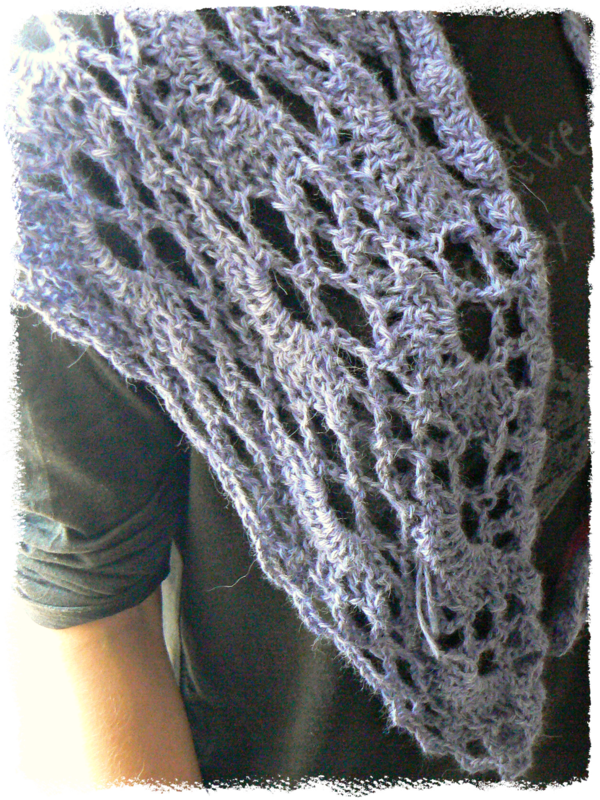 For those tempted to stray from the straight and narrow of knitting in order to try the dark arts of crochet, this is a great starter project. It's a snood. A chunky snood. Ooooooh. The tension is a bit tighter than the original envisioned by Kirsty of Kotoyoo, but the sculptural quality is rather fun. The recipient is a dear chum who totally rocks a leopard print dress in her role as a rather serious corporate lawyer. 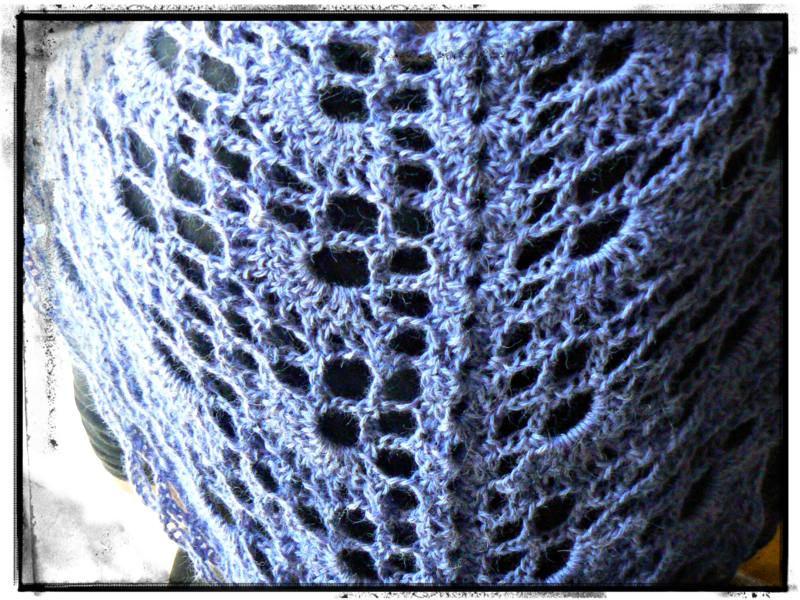 Now imagine this cowl with the leopard print dress. Are you imagining? Good. It's an amazing thing to consider, no? Hopefully there will soon be photos of this spectacular combo.